Alert! Beware of Mystery Shopping Scams! Recently, it was brought to our attention that there are some individuals going around contacting people about Mystery Shopping as a means to Scam them! Please be aware of any offers you received. And that all Mystery Shopping offers should go through the proper channels! You can read more on how to avoid scams here. We had recently been contacted by a cautious shopper, whom had read the article in the link above. 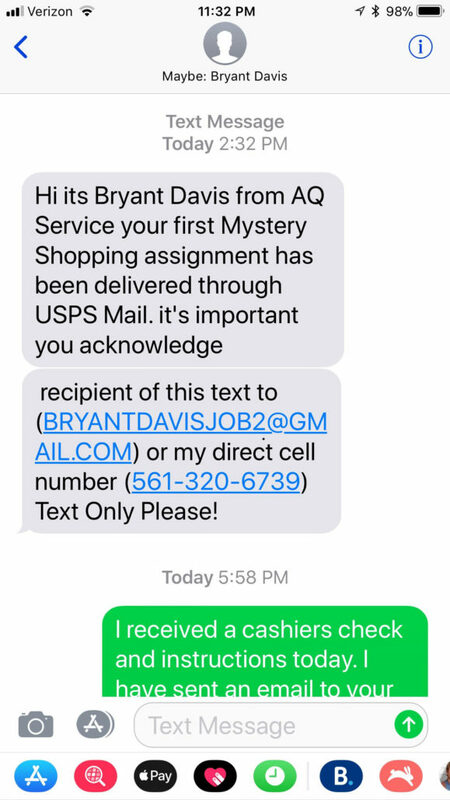 The shopper was contacted by an individual going by the name of Bryant Davis. The shopper received a cashier’s cheque and a letter in the mail. This was then followed up by a text informing the shopper about the delivery. 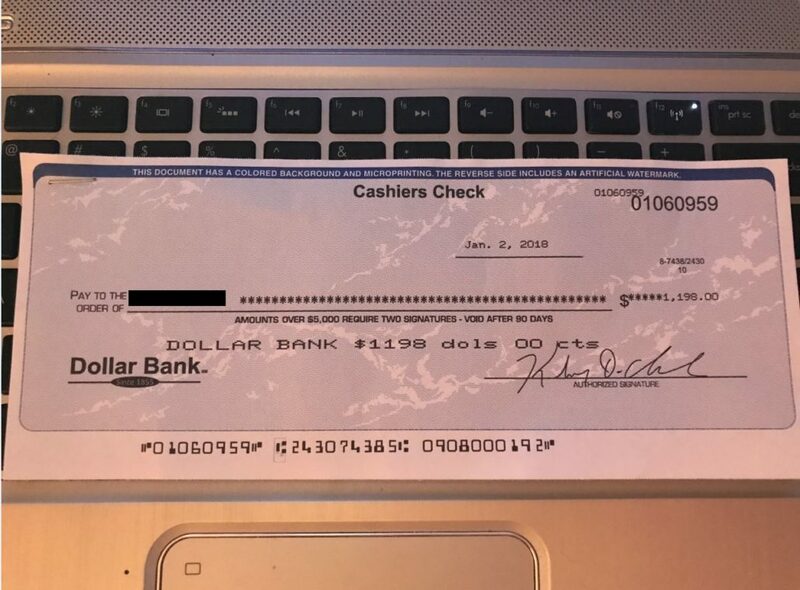 The shopper was instructed to deposit the check and send money to a specific account. This alone sounds dodgy! Another name that we have come across previously was Brian Harvey. Here are the photos that we had received regarding this scam. The scammer audaciously mentioned that he was from a legitimate company and brazenly names the company. In this case, it was AQ Services. However, noticed the text says to not call. This is not correct as we are always available to ready to speak to our shoppers if needed. Also take note of the format of the letter, which is inconsistent with the message or of the company in which they state they are from. 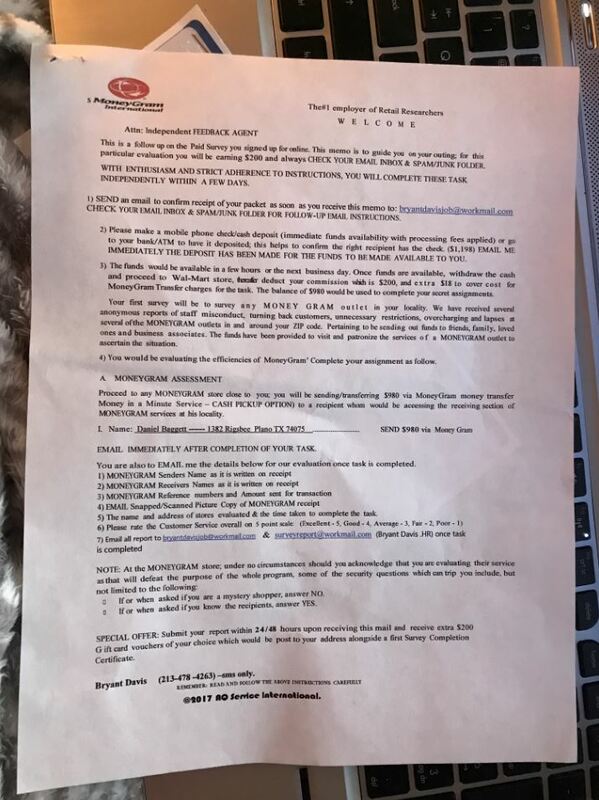 If you have received something similar to this or are not sure if it is a scam. Please email directly to us at shoppers@nullaq-services.com. Also, some of these scammers can get aggressive. If you feel threatened in any way. Please contact your local authorities immediately.